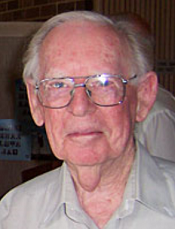 Maxwell Frank Cooper Day was born on 21 December 1915 in Sydney, New South Wales. He studied botany and zoology at the University of Sydney, receiving a BSc in 1937. He joined the CSIR Division of Economic Entomology as an Assistant Research Officer in 1938. In 1938-39, he was a Biological Assistant to Professor LR Cleveland at Harvard University and a Lehman Fellow from 1939 to 1941. He was awarded a PhD from Harvard University in 1941 for his work on termites of the genus Stolotermes. After completing his PhD, he lectured in cytology and parasitology at Washington University, Missouri (1941-42). During World War II, he worked as the Procurement Officer with the Australian War Supplies Procurement in Washington, DC, USA from 1942 to 1944, followed by the role of Scientific Liason Officer with CSIR’s Australian Scientific Research Liason Office in Washington DC; a position he was twice seconded to (1944-47 and 1955-57). In 1947, he returned to Australia and to the CSIRO Division of Entomology where he stayed for many years, holding a variety of positions. He was employed first as a Research Officer and through various steps rose to the position of Chief Research Officer, finally serving as Assistant Chief from 1963 to 1966. He was a member of the CSIRO Executive from 1966 to 1976. He served as the first Chief of the CSIRO Division of Forest Research from 1976 to 1980. He was elected a Fellow of the Australian Academy of Science in 1956 and was made an Officer of the Order of Australia (AO) in 1977. The transcript of an interview with Max Day and details of his life and achievements can be found by following the links in the Sources below.